It’s morning rush hour. You are on your way to leave the kids at school and then to go to your office. There are hundreds of vehicles in front of and around you, you’re stuck in the traffic, but you listen to your favorite radio station, you’re in your own car and you already got used to it. That’s the current situation – traffic is unavoidable, you think. But as cities nowadays get bigger and bigger, researches predict 70% of the world’s population will live in cities by 2050. What does that mean? Crowded, polluted and an uncomfortable urban environment, a lot of you would quite reasonably imagine at first. But just here, the idea of smart cities comes to the rescue. 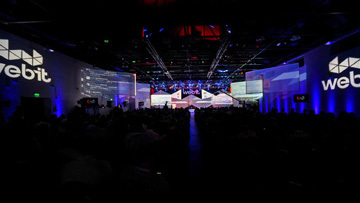 When looking forward to the bright tech future, we can think of connected technologies, ensuring a better quality of life, conscious use of natural resources, instant communication and bettering of all that needs to be bettered. Imagine sensors showing you whether there are free spots on the parking lot, technologies limiting the water you’ve unconsciously wasted and cameras identifying the thief who has just stolen your bag. Imagine, but with your eyes open – in the years ahead, these appliances won’t be dreams, but reality. And not just in the big, distant cities. Just like with human brain whose full potential we don’t always use, by now urban cities use a very small part of their full capacity in terms of smart, friendly appliances and connected technologies. But it’s just the right time that this is going to change. Now, why don’t you watch this video and think again about the morning rush hour? What if you had this vehicle on your way to work? This ‘Straddling Bus’ was shown in action in the Chinese city of Qinhuangdao, in the Hebei province. The citizens have probably been reasonably shocked at first: The enormous vehicle-prototype “eating cars” which they’ve seen is around 22 meters long, 8 meters wide, around 5 meters tall. 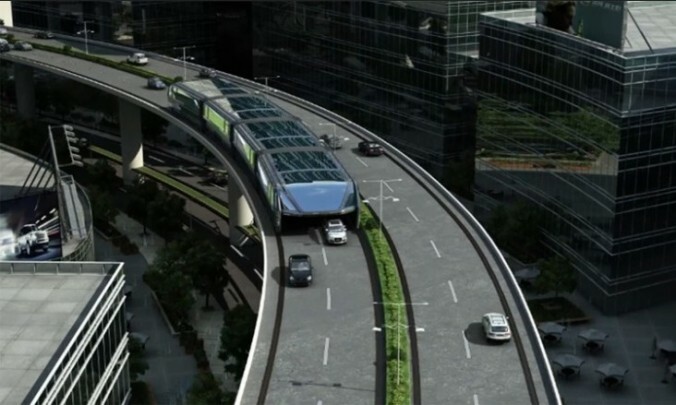 It provides 2 meters of underneath space for cars to travel and is able to carry up to 300 passengers. Maybe now this technology still feels too futuristic, but its creators and many others think it will give the perfect solution to overcome traffic. While driven cars may still seem long-lasting for many customers, tech innovators show us self-driven automobiles are soon to be widely affordable. While it may seem smart cities are only reflecting on humans’ lives, truth is technology connects to nature to help us save, not destroy it. While many big cities’ governments already embrace the concept of being a smart city, there are a lot yet to be convinced. To learn more on the topic of Smart cities and innovation, visit the Smart Cities Summit of Webit.Festival 2017 and hear the latest trends in Digital Transformation, Smart Mobility & Transportation, Smart Energy and many more. Amongst the confirmed speakers is Erion Veliaj, the current Mayor of Tirana, thanks to whose efforts the city was awarded for successfully applying innovations in communication between government and citizens. You will also see on the scene Alexander Renz, Managing Partner at New Mobility World, who works towards a future where mobility is environmentally sustainable.